Segovesus blog: 17. Martincův zákon: Work smart, not hard! 17. Martincův zákon: Work smart, not hard! FOREMAN: This thing is already all around her heart, if it gets into the muscle she's dead. CAMERON: Bacterial infection is more likely to turn constrictive it could be TB. CHASE: Right. Forgot about the part where she did time in Russian goulo. Her hematocrits elevated. CAMERON: Few extra blood cells means nothing she's probably just dehydrated. CHASE: Yes and I could assume 3 or 4 things to fit my theory too. FOREMAN: Enough! [Chase and Cameron stop and look at Foreman.] I take it you two aren't sleeping together anymore? We do what House said. We test for everything. CAMERON: Since when does we not include you? HOUSE: You guys are idiots. CAMERON: Why? Because we stayed up all night doing exactly what you told us to do? HOUSE: No. Because you stayed up all night doing exactly what I told you to do and have nothing to show for it. FOREMAN: We eliminated dozens of wrong answers. HOUSE: I asked you what 2 + 2 equals and a day later you tell me not 25. CHASE: The pathology report just got filed. Found granulomas in Lucy's pericardium. [Hands House the report.] Could be a case of fungal infection. 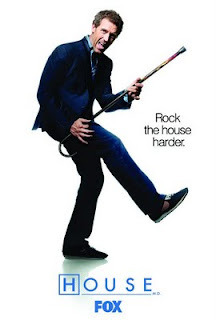 HOUSE: Work smart, not hard!